In the United States, pedestrians and automobiles are meant to share the road equally. It is everyone’s responsibility to follow the law, operate safely, etc. But, it is also the responsibility of automobiles, trucks and motorcycle riders to look out for pedestrians. One of the more common types of cases the team at Amaya & Associates handle is that of pedestrian accidents. When a negligent driver or motorcycle rider hits a pedestrian, the injuries can be catastrophic. Our Chico personal injury attorneys are experienced in pedestrian accident cases. We will help you deliver justice and receive compensation for the injuries associated with your own or an accident of a loved one. If you have been hurt in a pedestrian accident, you need a skilled attorney by your side. Contact the team at Amaya & Associates today by dialing now. We have seen a lot of accidents in our years of practice, and often the cause of a pedestrian accident is negligence by the driver. While some pedestrians could be to blame for their accidents, most drivers neglect to observe pedestrians on the road. Whatever the cause of the accident, you need a skilled Chico pedestrian accident lawyer to represent your claim. Pedestrian accidents can lead to serious, if not fatal injuries. Some injuries can include spinal cord injuries, traumatic brain injury, amputations, paralysis, etc. The medical bills, pain and suffering and loss of wages associated with these injuries can devastate a family. 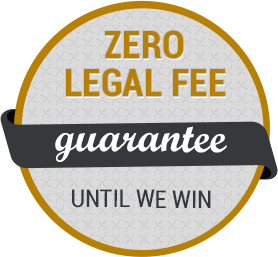 But, with our Chico pedestrian accident attorneys by your side, you can have your financial worries settled.